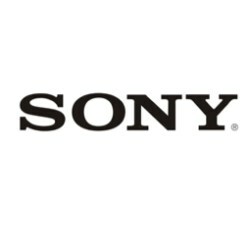 Sony is a company that inspires and fulfils curiosity. The Japanese word Kando expresses this mission. Kando has no English equivalent but loosely translates to mean appreciation, admiration and something that deeply satisfies. As Sony Mobile’s outsourced contact centre provider since 2007, Telnet ventures to embody this mantra by investing in our agents and the tools they use to help them deliver accurate, prompt and friendly technical support services to Sony Mobile’s customers and dealer networks. When we took over the Sony Mobile contact centre operation, the rise in customer satisfaction was almost instant. Over 80 percent of calls were answered within 20 seconds – a 127 percent improvement on Sony’s last provider, escalations were reduced by 50 percent and first call resolution sat comfortably at 90 percent. These improvements contributed to a significant rise in Sony Mobile’s customer satisfaction scores. Originally servicing only Sony Mobile’s New Zealand customers and dealers, in 2009, Sony decided that Telnet would also take over their equivalent Australian operations, which generated eight times the work that the Telnet team managed up to that time. Through our continuous innovation efforts and by investing in our ContactSuite CRM system, we even managed to enable Sony Mobile to remove its reliance on costly face to face dealer support staff by using Telnet’s Telephone Account Management processes. This has saved Sony Mobile significant costs while providing much more responsive support for their dealers. Each year, the results of our efforts for Sony Mobile are compared with their other contact centres and in 2017 we achieved the third highest performance scores globally. Z Energy are serious about their promise “Z is for New Zealand” so when they purchased the downstream assets of Shell New Zealand in 2010 and later rebranded to Z Energy, one of their very first moves was to bring the contact centre home from the Philippines. Z Energy selected Telnet for this important role because of our close alignment with the Z Energy philosophy of being “Kiwi-As” and our well-proven ability to provide exceptional customer service. 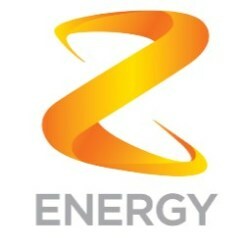 Since those early days, Telnet has remained a close strategic partner for Z Energy. Within 4 months, the contact centre was moved halfway round the world and transformed into a personalised customer engagement hub fuelled by agents who embodied what would later be called the “Z Factor” of being courageous, down to earth, fun loving and refreshing. We quickly expanded to take on Z Energy’s Master Data Maintenance function, social media management and managing their thousands of Z Card accounts. In 2016 we were also appointed to manage the contact centre for Minitankers, a wholly-owned subsidiary of Z Energy providing fuel delivery services. While Z’s contact centre was based in Manila, staff training took up to 5 weeks. Using our own training materials, and the same Telnet built technology Z Energy have adopted into their in-house operations, we were able to shave training time down to just three days. Additionally, we reduced staffing numbers and costs by more than 50%, all while increasing first call resolution rates and customer satisfaction levels. When Z Energy purchased Caltex New Zealand in 2016, they once again trusted Telnet to handle the complex migration of the Caltex contact centre from the Philippines to Telnet’s centre in New Zealand. Working under strict secrecy because of the sensitivities around the acquisition of a competitor, Telnet worked closely with Caltex and Z Energy to re-engineer contact centre processes and conduct a data migration that needed to happen overnight on the cutover day. Now, with the Caltex contact centre integrated with the Z Energy centre, we’re working on developing shared processes that will further reduce costs while maintaining differentiation between the two brands. Beauty is more than makeup and hair products. It’s a language and a science that the L’Oréal Group has been the leaders in for more than 100 years. Encompassing more than 27 brands in Australia and 22 brands in NZ, each with its own cult following, L’Oréal Australia and New Zealand required personalised customer engagement services to support their consumers who needed assistance with product information and technical assistance, amongst other things. In 2013 they chose to outsource their Consumer Affairs department to Telnet in conjunction with a wider project to increase the contact hours and support services offered. Since then, we’ve been providing a team of highly trained hair and beauty specialists dedicated solely to supporting L’Oréal’s Consumer Affairs ambitions. 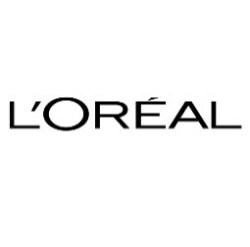 Not only are our specialists able to supply up to the minute product information and advice to both salon professionals and general consumers alike, they also provide something just as important – a customised experience that suits L’Oréal Australia and New Zealand’s unique needs and brand values. Lower labour costs in New Zealand and similar time zones mean we can offer cost-effective business hours coverage to suit both L’Oréal’s New Zealand and Australian customers. In common with Australia, our attributes of being hard working with an easy-going attitude means that our team can connect with customers on a cultural level, dispelling any concerns about outsourcing offshore. With more than 140 Service stations and 70 truck stops, Caltex has been helping Kiwis get where they need to go for almost 80 years. They are dedicated to providing exceptional service and making things easier and more memorable for their customers. In June 2016, Z Energy announced the purchase of Caltex New Zealand and Telnet was given the task of migrating the Caltex contact centre operation into Z Energy’s business. Operating under the thick blanket of secrecy required when purchasing from a large competitor, Telnet put together a team to work alongside Z Energy and create a personalised customer engagement hub for their new Caltex brand. Just like Z Energy, Caltex had previously based their contact centre in the Philippines. Using our industry leading technology and unique training methods, when the Caltex contact centre closed at the end of the day on the 31st May 2016 in Manila, Telnet managed to seamlessly move all required data half way around the world to open the lines afresh in New Zealand the next day. Feeling that Telnet accurately embodied the Caltex vision, our relationship and responsibilities rapidly grew to encompass all Caltex customer interactions including managing their social media pages, StarCard programme and more with some new and exciting developments from Z Energy coming in 2019. 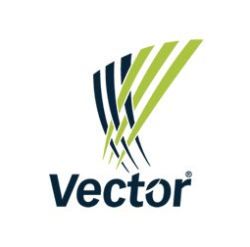 Vector is the largest electricity and gas distributor in New Zealand with a vision to create a new energy future. Striving to challenge and reinvent the way communities and businesses are powered and connected so they can grow and thrive, Vector is both outward and forward looking. Since 1999 Telnet has provided call centre services to Vector and in an industry that requires constant attention and fast action, every call has the potential to be an emergency and in times of large-scale power outages call volumes can massively increase. That’s why Telnet developed a call avalanche interception system that automatically presents outage announcements to callers for their area. This significantly reduces the number of calls that need to be handled by human agents. The biggest expense for many contact centres is labour and for most, it simply isn’t feasible to have extra staff waiting around in case of emergency. But we believe labour is only expensive if agents aren’t busy. As well as employing a strong league of homeworkers ready to leap into action at only a moment’s notice, Telnet developed a shared resources model so that instead of being dedicated to one client, our agents can service customer interactions for several clients at once, dramatically reducing idle time and allowing teams to scale seamlessly to cover fluctuating demands. With our steady partnership of almost 20 years, Telnet works closely with Vector to continuously innovate and improve the way their customers are served. 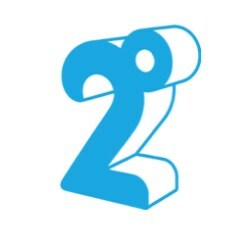 2degrees is New Zealand’s newest full-service telecommunications provider and is a company that values nimbleness and flexibility. So, it was only natural that they partner with Telnet to help them expand their customer base and provide tactical support to their in-house operations. In 2010, less than a year after 2degrees’ commercial launch, Telnet ran the first 2degrees outbound campaign offering customers better mobile deals. Since then, we’ve become a key enabler to growing 2degrees’ customer base and increasing the range of 2degrees products their customers use. Between 2016 and 2018 Telnet was engaged to contact 2degrees’ 2G customers to manage customer transition due to the shut down of the 2G mobile network. Telnet’s role was to explain the situation, offer new phones and assist customers with the switch. In 2017, aware of the challenges that 2degrees was facing with the change to its new Siebel platform, Telnet approached 2degrees with an offer to handle overflow call volumes. The go-ahead was given immediately and within 3 days, Telnet had trained additional agents and put in place the technical arrangements needed for Telnet agents to access 2degrees’ systems. The overflow campaign ran for about 6 weeks and helped 2degrees significantly restore customer service levels. The Electoral Commission is an independent Crown entity responsible for the administration of parliamentary elections and referenda. It requires an outsource provider for its contact centre operations that is well versed in security and most importantly, one that can scale operations quickly to support large, highly variable call volumes. They selected Telnet as their provider following an RFP process held in 2012. Telnet’s previous work with government agencies and, in particular, our success in managing the call centre for the 2001 and 2006 national Census were among the reasons for our success. After servicing several by-election campaigns, in 2014 Telnet successfully scaled to handle the large call volumes generated by the general election. We relied on our unique knowledge management and training approach, and our sophisticated technology, to massively expand our operations for the peak period of just a few weeks. With so many potential questions from the public to answer about the election, rather than train our staff in this knowledge, we focused our training on teaching them how to find it in our knowledge base. 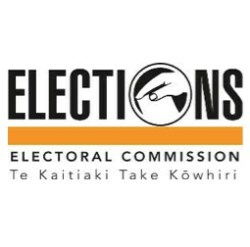 For the Electoral Commission, providing good service is not just about having well trained agents on hand to take calls or answer emails, it’s also about providing high capacity self-service facilities that allow voters to request enrolment forms through SMS, which minimises load on the contact centre and reduce wait times. Telnet developed an IVR application to handle SMS requests and, through integration with the Electoral Commission’s mail house provider, the entire process was able to be automated. With our focus on continuous innovation, in 2017 we added the ability for large volumes of the public or potential voters to be sent SMS messages reminding them to check their enrolment status and if they needed enrolment forms, they could simply reply by SMS message. This completely automated process resulted in many voters being added to the electoral roll. 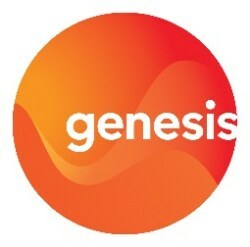 Genesis Energy is New Zealand’s largest energy retailer, with extensive generation assets and an interest in the Kupe oil and gas field. Telnet has a long history of servicing Genesis which began in 2004 when we commenced handling their electricity fault and emergency calls and soon after expanded to handling their after-hours electricity reconnection requests. By 2008 our relationship had expanded to include outbound sales campaigns – cold calling to sell electricity and gas to non-Genesis customers and upselling gas to those customers who only bought their electricity services from Genesis. Over the years, Telnet has introduced a range of technical and operational innovations that have helped us to achieve even higher levels of sales conversion while improving the experience for customers switching to Genesis. Having been through multiple contract renewal periods since 2004, today we’re still a valued provider of outbound sales services to Genesis who recognise us as being one of their most diligent providers, with high levels of sales quality and regulatory compliance.